Get going in the major metropolitan area of Arizona with a Phoenix car rental from Sixt. Search our selection of leading brand rental vehicles and rent a car in Phoenix by booking online or via our mobile app. Check out our affordable rates on our extensive fleet available at our Phoenix Sky Harbor International Airport branch. 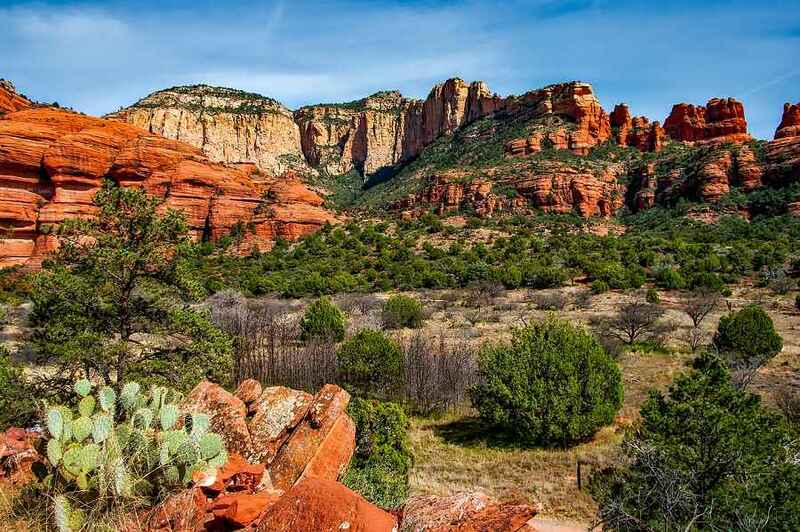 Our convenient location lets you quickly take off to your destinations after landing in Arizona. Beat the heat while traveling around the Southwest with a rental car that offers a way to traverse the Valley of the Sun desert landscape in comfort and style. At our Phoenix Sky Harbor Airport branch you can try to reserve the rent a car of your choice with our Sixt app thirty minutes prior to pick up and speed things up with our Express counter. Browse Phoenix car rental deals and do a price comparison to find the best way to treat yourself to an upgrade. Enhance a weekend getaway, a vacation or business trip with a luxury Mercedes-Benz or BMW. From sedans and compact cars to sports cars, SUVs and convertibles we can accommodate your budget and mobility needs. Please note that our Phoenix car rental reservations can only be guaranteed for the chosen car category as specific models are subject to availability. Being in the desert, summer temperatures in Phoenix will likely be over 100 degrees. You may want to find some indoor activities to stay cool in the air conditioning. Options include the Sea Life Arizona Aquarium, Butterfly Wonderland, and several museums like the Phoenix Art Museum. If you want to jump in the water to stay cool, you can go tubing on the Salt River or visit an area water park like Wet n Wild or Gulfland SunSplash in Mesa. You can enjoy the many golf courses and outdoor activity options in the area, but take part only in the early morning or evening. Enjoy the activities and fireworks on July 4th at the Fabulous Phoenix Fourth event. Be sure to get a vehicle with good air conditioning when visiting during the summer! When traveling, it's often the little things that make the biggest difference in your comfort and enjoyment. Besides our incredible selection and attractive rates on premium vehicles, we have great deals on extras as well. You can optimize the drive with a GPS, protection plans or additional driver coverage. Here are a few of the add-ons you can include to your Sixt car rental Phoenix. The lack of proper intercity transit in Phoenix means that you really need a car to get around. The three main intersecting freeways, Interstate 10, Interstate 17, and US Route 60, will take you anywhere. Head west towards California, south to Tucson or make a road trip north to Flagstaff, Sedona or all the way to the Grand Canyon. Follow the twitter feed of the Arizona Department of Transportation for regular traffic updates and information about closures and crashes. When the roads get congested take advantage of Phoenix's convenient frontage roads that run parallel to most major highways. This way you can skirt traffic and be able to see when things have cleared enough to hop back on. Similarly, if arriving into Phoenix from the west side, use your GPS and surface streets to circumnavigate the airport to reach your city destinations quicker. Located in Scottsdale, Troon North Golf Course has set itself apart as a luxury golfing experience. With jaw dropping views of Pinnacle Peak and its easily walkable course, Troon North is a hole-in-one for a perfect afternoon in Phoenix. Through various permanent trailside exhibits at the Desert Botanical Garden you can learn about and experience desert plants. Those visiting between October and November get the special chance to view see migrating Monarch butterflies who make their way through Phoenix en route to Mexico. The desert landscape is a big part of what makes Phoenix and its surrounding so unique to be sure to make time for long, leisurely rides to really appreciate all the natural beauty that you can see on drives both near and far with your car rental in Phoenix.